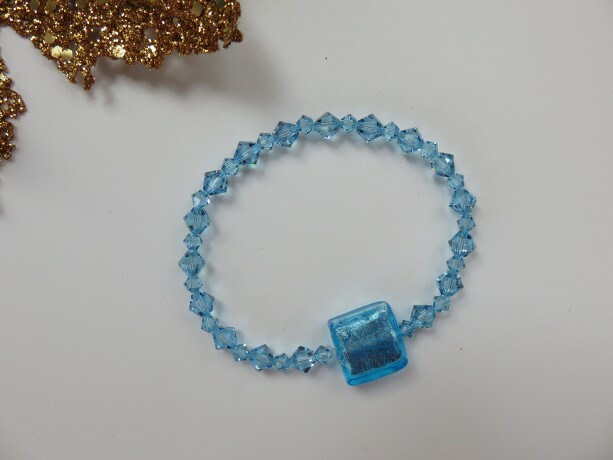 7.5" stretchy bracelet with genuine Murano square glass bead & genuine Swarovski bicone crystals in two sizes. All aqua. March's birthstone is aquamarine. A beautiful sparkler for all seasons!